As of August 2016 the minimum salary in Georgia is $137.58 per month according to tradingeconomics.com. However, that is primarily reflective of education and fishing industries. In Tbilisi minimum monthly wage tends to be higher at $171. 97 as seen on salaryexplorer.com. 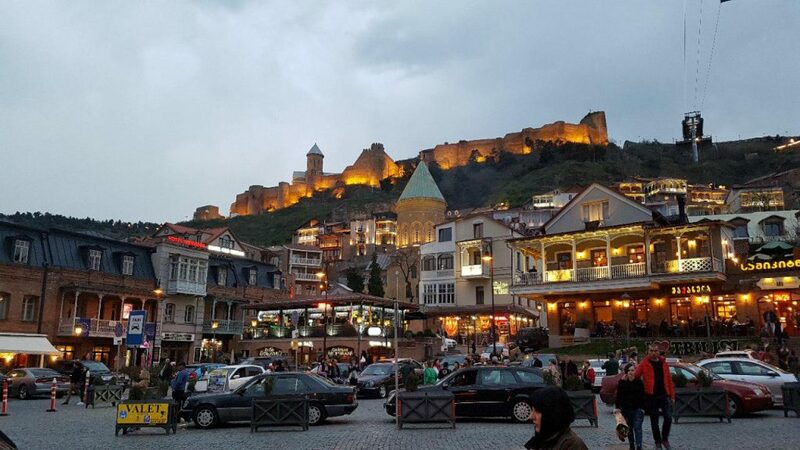 If you’re thinking of traveling or relocating to Tbilisi for work, it is best to find jobs, which pay in strong currencies such as USD or Euro. Tbilisi is the best of both worlds for expats. It is very modern and cosmopolitan whilst surrounded by beautiful nature and mountains. As of December 2015 the average salary for males reached $540 per month. Average monthly salary for women is at $300 per month according to agenda.ge. It is not surprising that the salaries are much higher in the capital with Tbilisi generating almost 50% of GDP. A number of foreign multinationals have branches in Tbilisi, including Ernst & Young. Renting a one-bedroom apartment in the capital will set you back around $180 per month with monthly bills and travel costs at $80 per month. With unemployment rate at an all time low, only at 12%, the country is surely stabilizing itself in economic terms. Many high tech Silicon Valley firms are having talks of setting up offices and start-up bootcamps. This will not only increase employment but will also generate strong currency and foreign business flocking to the country. Georgia also has high interest rates. This attract a number of foreign investors to invest in local banks and boost the finance industry. The Georgians or Kartvelians (Georgian: ქართველები, translit. : kartvelebi, pronounced [kʰɑrtʰvɛlɛbi]) are a nation and Caucasian ethnic group native to Georgia.